FOR A COPY OF YOUR CHILD'S YEAR GROUP CURRICULUM LETTER, PLEASE SEE DOCUMENTS BELOW. Year 6 First Aid Training: Each Year 6 class had a visit from St John Ambulance to give them First Aid training at the end of Term 4. In a day of practical sessions and information, the pupils were given the opportunity to learn how to treat a range of situations they might come across including the primary survey (DRABC), contacting the emergency services, recovery position, bleeding, asthma, shock and head injuries. The children practised their skills on each other so that they will be prepared if they ever need to help others. Well done to all of the children involved who picked up these useful skills quickly. 14th March 2019 - Year 6 classes visit to Lifeskills Centre Bristol: The Year 6 classes enjoyed their visit to the Lifeskills Centre, Bristol during Term 4, where they had a fantastic opportunity to experience real life scenarios. They learnt about road awareness, hazards in the home, safety in the garden and at the beach and worked with trained experts. Term 3 Year 6 Art Work to inspire their writing - clay and sketched dragon eyes and oil pastel dragon tails, scales and feathers. These magical creatures will be making an appearance in the books they are going to be writing this term! Thank you to Joffre White - Author, a UK Patron of Reading & Reading & Writing Motivator for his fantastic visit in January. After an assembly with the Year 5 & 6 classes, he did creative writing workshops with our Year 6 pupils to inspire their story writing. At lunchtime he did a Questions and Answers session in the Library - lots of children came to meet him including a huge number of boys who were very inspired by Joffre. Year 6 Visit MP John Penrose: A group of Year 6 pupils visited the Surgery of John Penrose at The Campus on 14th December. They presented their ideas on reducing plastic pollution in Weston-super-Mare and represented St Martin’s School brilliantly in their presentation. Well done!! Many of our Year 6 pupils attended Morfa Bay on Camp. They had a fantastic time and were able to participate in a wide range of adventurous activities from abseiling and climbing to sea activities and mountain biking. It was great to see so many children overcoming fears and developing a new passion for some activities. Thank you to all of the staff who helped make the week a success – without them these experiences wouldn’t happen. Thank you also to those who worked with the pupils who remained at school. These pupils took part in a wide range of activities linked to our current theme. Tuesday 2nd October Sand Point Visit: Year 6 classes all enjoyed their visit to Sand Point where they found lots of little fossils on the beach at Middle Hope Beach as part of their geography work. The children participated in a variety of activities to develop team building and had an opportunity to apply their recently learnt Geography skills in field sketching, map work and classification. Year 6 Leavers Performances: The Year 6 children and staff have had a busy and fun packed few weeks to end their time at St Martin’s School. They performed ‘Porridge’ in front of a range of audiences including pupils and parents. The children were brilliant and showed amazing talent with their singing, dancing and acting skills. At the end of the performances a collection was made for CLIC Sargent. At the end of term, the Year 6 pupils raised a fantastic amount of over £653 for their chosen charities through fundraising activities, games and stalls during School. This amount will be split equally between Headway (improving life for those suffering brain injury) and Macmillan Cancer Support. Year 6 Science Visit March 2018: Year 6 children carried our a heart dissection at the NSETC and really enjoyed the opportunity to see and handle a real life pigs heart and looked at samples under microscopes. 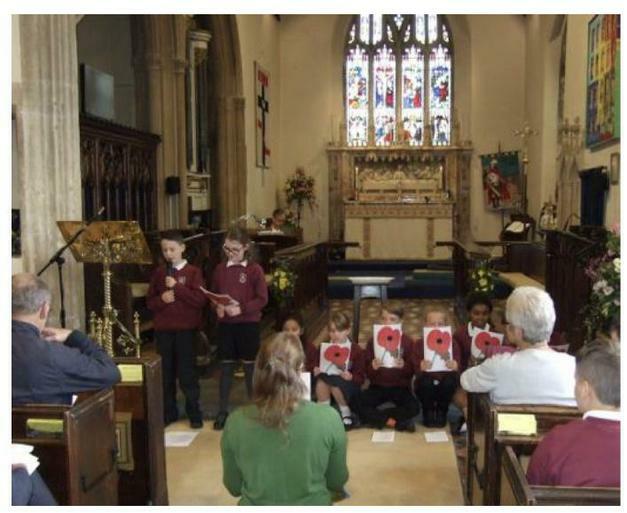 The children behaved amazingly and represented the school really well. We would like to thank Mr Philips from NSETC for his support in enabling us to do this activity. Year 6 Visit to the Woods November 2017: In their theme 'Could you be the next Bear Grylls? ', Year 6 have been learning about survival and conditions in different biomes. As part of their survival training they have been learning about what equipment and skills are needed to survive in different locations with varied climate and wildlife. The children walked up to Worlebury Woods where they practiced First Aid training and shelter building. The children were able to treat each others fake wounds really well with the new skills they had learned during a St John's Ambulance School Workshop. Just a reminder about some of the websites we use at school to help children learn that you can also access at home!